And the time you’ve been waiting for has arrived! Here’s your Flashback Friday answer. The St. Louis streetcar system was still in full swing even though automobiles and bus transportation were hitting the roadways. It would be a few more years — around the 1960s — when streetcars would eventually be fully replaced by buses and cars. 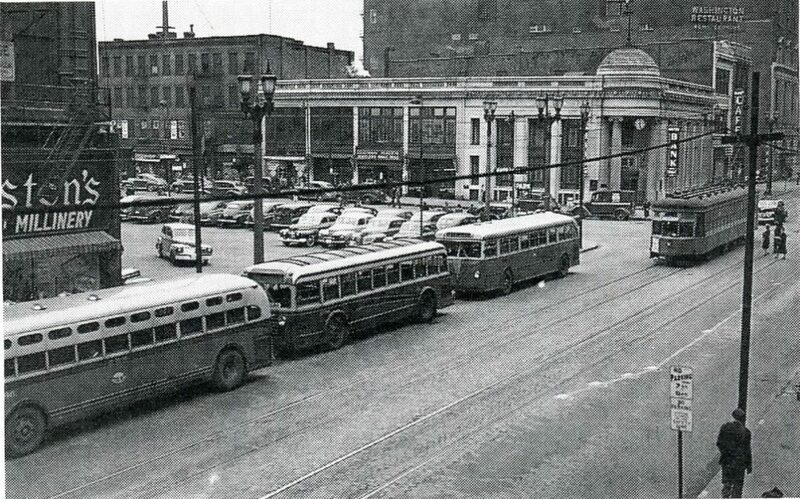 The photo below shows buses and streetcars at the intersection of Washington and Broadway on May 14, 1943. Did you guess correctly? We hope so! Have a great weekend St. Louis. This is actually in downtown St. Louis, near the intersection of Washington and Broadway in 1943.